After experiencing an identity crisis in late 2013, Foursquare is getting a makeover while its new counterpart, Swarm, makes its debut in the app store. As the app’s creators noticed a stark divide in the way it was being utilized, it was decided that Foursquare would function better as two. Foursquare would now become what it was originally intended to be, a discovery tool, and a new app, Swarm, would be developed to help people find their friends. With the help of new technology and five years of user data, Foursquare is on its way to become Yelp’s biggest threat. One of Foursquare’s biggest obstacles was its own check-in button, which hindered the app from really performing as it was intended. Removing the clutter and resolving the split personality issue helped make way for real-time alerts and a cleaner platform for advanced implementation of user data. 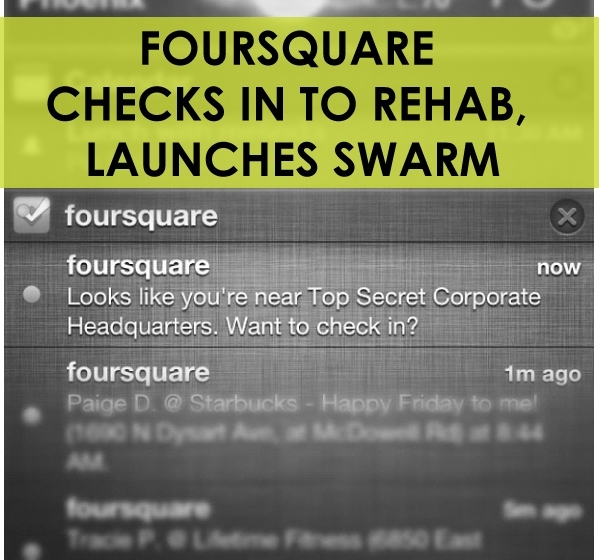 Starting out, Foursquare lacked the ratings, reviews and user data to really function properly as a discovery solution. They also didn’t have the location based technology that today can be used to push an auto alert as a person walks into a popular business. Foursquare’s plans to kill Yelp involve mining the data the app has collected over the past five years and turning it into predictive intelligence so it can tell you where to go based on your own preferences and preferences of your friends. This powerful technology paired with Foursquare’s data collection will make it a great tool for showing you that something you like is right around the corner. Looking for a job in Mobile Development? Check out our current openings.